Dar Al-Funoon cordially invites to preview of The October Collection, featuring works by Shahriar Ahmadi, Jamal Abdul Rahim, Halim El Karim, Sinan Hussein, and Mohammed Abou El Naga. 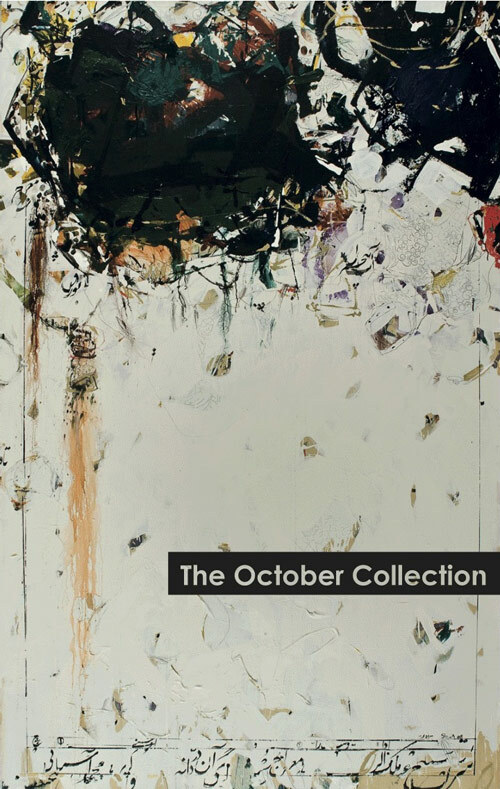 The October Collection is a group show highlighting works by artists of the gallery. The show will feature works that have never been shown at the gallery by Shahriar Ahmadi and Jamal Abdul Rahim. Also included are earlier works from Halim El Karim, Sinan Hussein, and Mohammed Abou El Naga. Where is this gallery? Thank you.